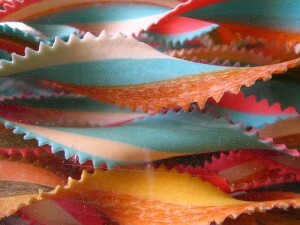 Nearly everyone around the world knows the shapes of spaghetti, rigatoni and fettuccine. Think you can do better? Think you can create a better shape than the masters? Here’s your chance – three $1000 awards for you to create a new pasta shape for Barilla. Buona fortuna a tutti! E andiamo tutti mangiano un sacco di pasta!